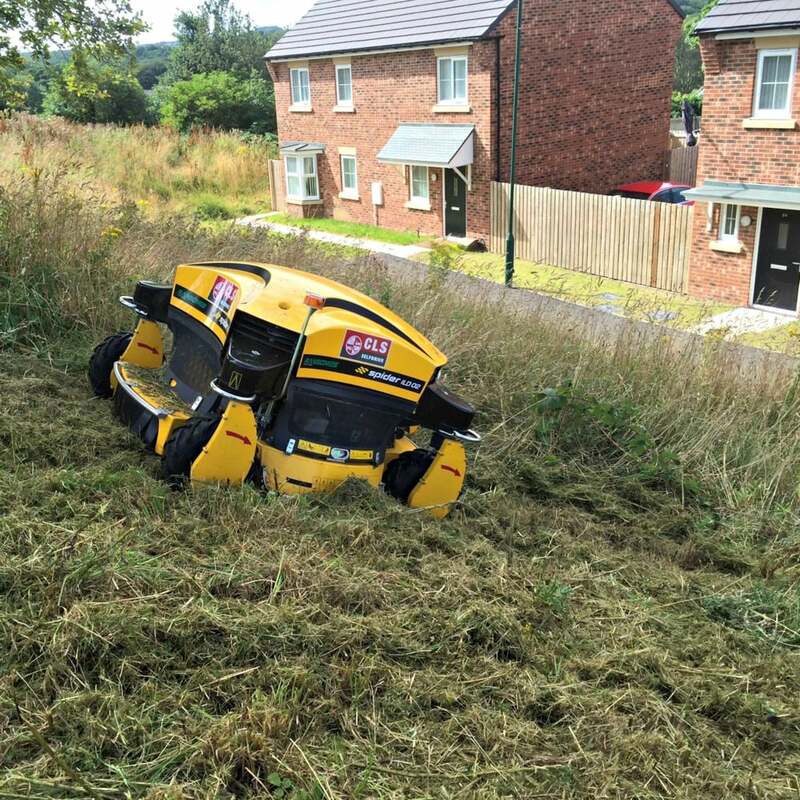 The radio-controlled Spider ILD 02 slope mower is designed for the maintenance of uneven and inaccessible terrain with slopes of up to 40 degrees. Is it however also excellent for the mowing of flat areas. The construction of the mower allows it to deal with rough seedings, wild growth and unkempt grass, but also with well-maintained park areas, where high quality of cut is required. In general Spider ILD02 is intended for the mowing of larger areas. The radio-controlled Spider ILD 02 slope mower incorporates 4-wheel drive and 4-wheel steering with four blades that can mow a swath in any direction. The multi-directional steering with locking facility enable great manoeuvrability of this unique mower. It has a cutting width of 1.23 metres and can tackle slopes up to 55 degrees with the assistance of a synchronised onboard winch. Spider ILD02 mower will find its place wherever you need to cut an inaccessible or unmaintained area, but also in places where high mowing frequency and good quality of cut are required. Spider ILD02 is an award winning versatile mower designed primarily for professional use and is currently the most favourable model of Spider mowers.